Time is going by too quickly as we wave good-bye to Halloween. 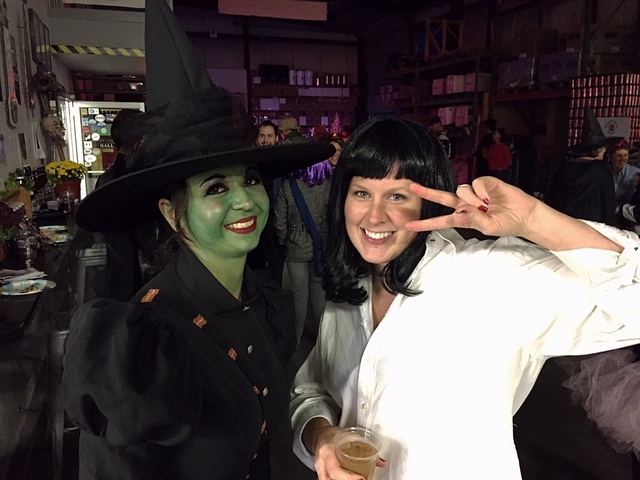 If you happen to go out and celebrate this past weekend, I hope you all had a great time at your Halloween celebrations. I’ll be sharing a picture of my costume at the end of the post. November 3, which is tomorrow, happens to be my three-year anniversary with my boyfriend. 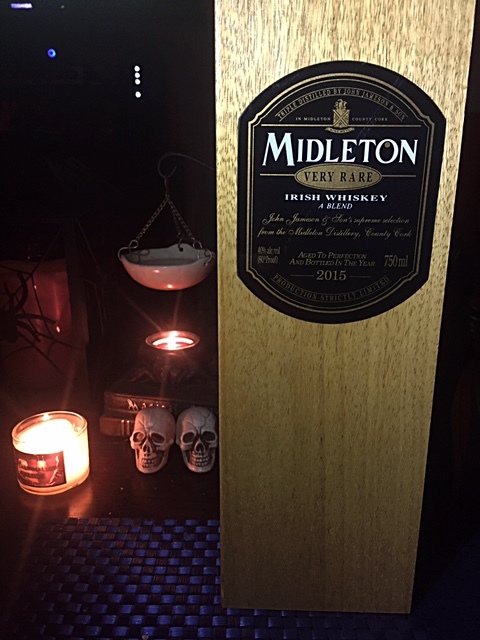 Every time we walked by a bottle of Midleton Very Rare at a store I would just stare at it and would always comment that I would eventually buy it. Well, I don’t have to anymore, as an anniversary gift my very sweet boyfriend (thank you James) gave me the Midleton Very Rare 2015 bottle. You better believe that is the whiskey I am featuring today on my blog. 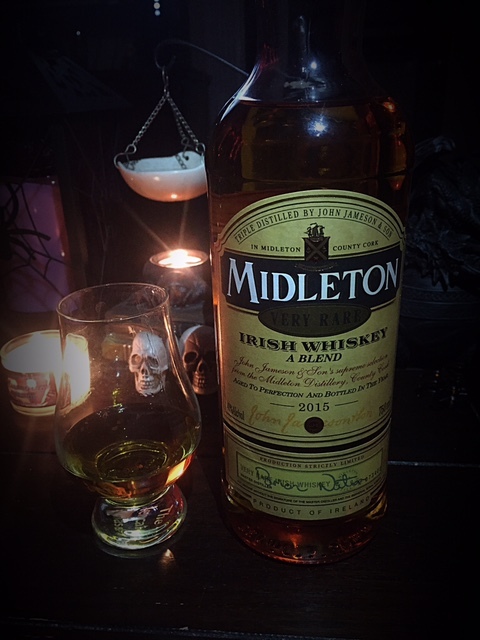 If by some reason you aren’t a whiskey drinker or just simply have never heard of Midleton before, it is an Irish blended whiskey that is a part of the Irish Distillers portfolio. Other products in the Irish Distillers portfolio include: Jameson; Powers Gold Label as well as Powers John’s Lane; Redbreast; and Greenspot just to name a few as they have others. Irish Distillers also happens to be a part of the Pernod Ricard Group. For this Midleton it was Master Distiller Barry Crockett who created the Very Rare collection in 1984 and since then, it has released annually. Every whiskey in the blend is triple distilled and aged between 12 to 25 years. After Barry Crockett’s retirement, new Master Distiller Brian Nation has taken over the blend and I believe (I could be wrong) his first Very Rare blend started with the 2014 bottle. The 2015 bottle I got is a Brian Nation bottle. I have never tasted a Barry Crockett Very Rare edition so I can’t compare the two different Master Distillers unfortunately, although if you have, I would like to hear what you think the difference are, if any. What I can tell you about this Midleton Very Rare 2015 bottle is that it is, AMAZING! There is so much complexity and the dram, has legs for days. This whiskey simply put is quite unbelievable. All the whiskies in this blend harmoniously blend together to create a very light and smooth sip. There is sweetness mixed in with spices all the while you are still getting notes of fruit. There is tons of complexity but it goes down really easy, so much so, that I think even a non-whiskey drinker would love it. Crazy enough though, I think this is the fastest whiskey dram I have ever drunk. The whiskey was gone from my dram in no time, because it was that good. I know, this is turning into a longer post than normal, but this truly is a great whiskey that I highly recommend trying if you can. It is a bit on pricey end. It’s one of the reasons why I would always just stare at it hoping to one-day buy. I don’t know what my boyfriend paid for it and it really does depend on where you buy but on average a bottle can cost around $150 (+/-). You better believe that I will be adding this Very Rare to my holiday gift guide post this year. Stay tuned for that list; my goal is to have it up right after the Thanksgiving holiday. And I can’t forget I said I would share my Halloween costume pics. 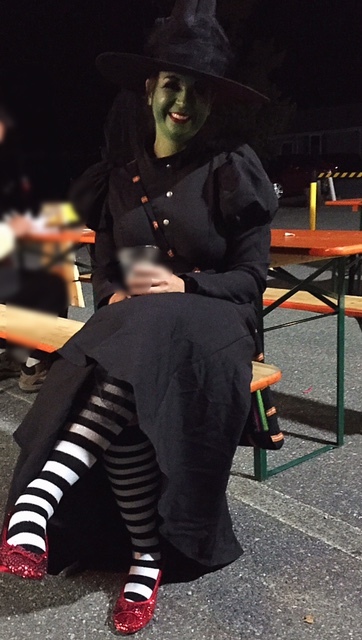 This year I went as Elphaba. Here I am with my good friend Sarah who is dressed as Mia from the movie Pulp Fiction. Ruby slippers and all, although I am dressed as Elphaba and not the Wicked Witch of the East.